I am always searching for healthier snacks for my family and one of my favorite sources of whole grain snacks is Bear Naked. 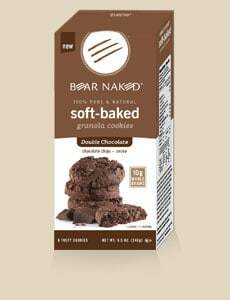 With delicious, healthier options including granolas, cookies, trail mixes and cereals ,Bear Naked is proud to introduce new offerings. Bear Naked Granolas are minimally processed and made with whole grains, a bounty of fresh nuts and large fruits which are sweetened with just a touch of honey so it is delicious but not overly sweet. 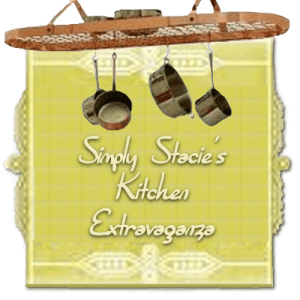 My favorite is the Maple Pecan granola which I enjoy as a topping for greek yogurt and my children like the Banana Nut granola on top of a fresh sliced up banana. Our family loves to head out into our local nature preserve and go off road biking. I pack a bag of Bear Naked’s Peak Energy Trail Mixes and it is a great way to re-fuel during our adventures. The Chocolate Cherry is delectable, the Pecan Apple Flax and Cranberry Protein are also very tasty. I like that the bags are re-sealable so it is easy to transport it in our backpack and it would also be perfect for after a workout at the gym too. I am really impressed with the amount of “goodies” i.e. fruits, nuts etc. that is packed into one bag of Peak Energy Trail Mix. My favorite healthier indulgence when I am having a sweets craving is the 100% Pure and Natural Soft-Baked Granola Cookies in Double Chocolate. These cookies are so rich and delicious and packed with cocoa and chocolate flavor that one cookie is satisfying (though I will admit that I occasionally sneak two cookies) and a serving provides 10 gram of whole grains! In the morning, I have finally discovered a healthier cereal that my husband actually likes to eat. The new Bear Naked Nut Cluster Crunch cereals in Maple Nut and Honey Almond are an excellent source of whole grains plus protein. It is filling and provides energy from the whole food ingredients. Bear Naked is proud that there products are “pure and natural” and contain no high fructose corn syrup, no artificial sweeteners, no artificial flavors, no cholesterol, no hydrogenated oils and no trans fats. As a wife and mother, this is a product line that I feel proud to serve to my family! The Nut Cluster Crunch cereal is not very good. Like cheap cereal only worse. Could not find any “nut” clusters. Just hard pieces of something that nearly chipped my teeth. Did not even taste good. Waaaay overpriced. Box looks big from the front, but it is so thin from the side, and the cardboard is so flimsy, that the box nearly collapses when you grasp it and it has a tendency to fall over. A total rip-off. I will not be buying any more Bear Naked products.